This post is a complete 180 from the naked face challenge 2 weeks ago. 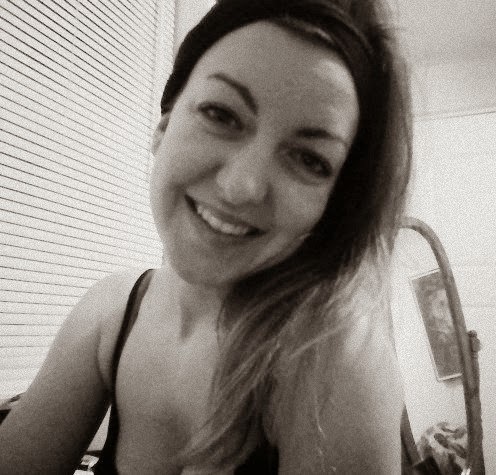 From no make-up to the most I've ever had on my face. But I'll get to that in a minute. First I want to tell you about my weekend. 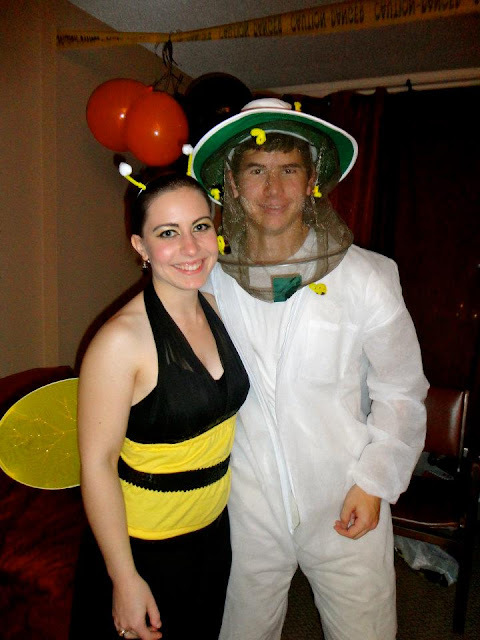 B & C had an adorable couples costume... bee & beekeeper. D & I did not match. At all. But we haven't done a matching costume in the past 4 years. Maybe next year... So, he was Charlie from It's Always Sunny in Philadelphia & I was Black Swan! How cute is D in his long johns & my socks? If you don't watch the show, check out this photo for reference. Pretty accurate I'd say! I am really happy with the way our costumes turned out! I'm also happy I did a trial run of the makeup (one eye) on Monday night to make sure it was possible with the cosmetics I had. And because I'm sure your dying to see some close-ups (note: sarcasm), here are some more vain photos of my costume! These were all taken at the end of the night (1:30am), so my make-up held up really well. Especially considering it was pouring when we walked to the party. The most hilarious part of the night was when I took Abby out for a quick bathroom break while I had my costume on. Some guys while walking by: "Is that Black Swan? Hey, are you Black Swan? Me: "Yep." Guys: "Hey look, Black Swan has a dog. What's your dogs name?" How was your "Halloween" weekend? Did you go out and dress up? Watch a scary movie? Carve a pumpkin? I'd love to hear from you. Feel free to link up to your Halloween-themed post in the comments! Hey Janelle, you and your costume look amazing!! Love the Black Swan make up! That seemed to be a popular costume this year. You're make up was better than everyone elses though haha. Your black swan costume is kickin'! I saw another black swan costume this weekend, but yours takes the cake! Looooving your costume! You look fantastic and I think you pulled it off well! Love your costume! you did pull it off. The beauty of getting naked.